With the rapid development of technology, Grand Prix racing was subject to constant changes in the 1920s and early 1930s and sport's governing body (AIACR) struggled to create a definitive set of regulations that would work with the various engine configurations raced at the time*. In 1932 they came up with a Grand Prix formula with a maximum weight of 750 kg (sans fluids, wheels and tires) for 1934, 1935 and 1936. The Association Internationale des Automobiles Clubs Reconnus figured this maximum would sufficiently reign in and level performance. 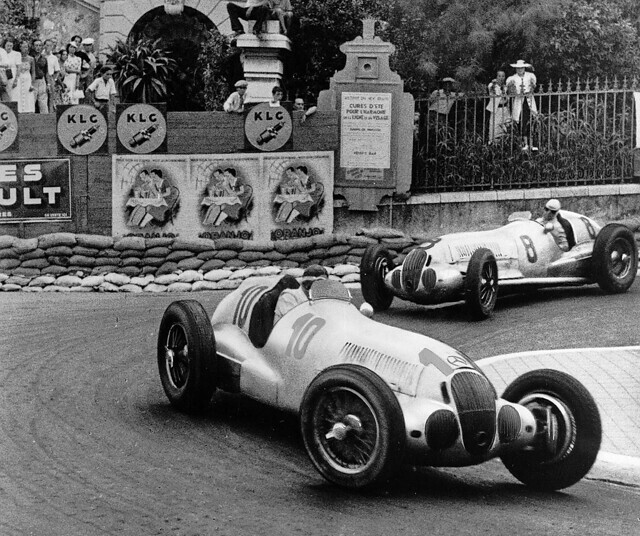 They were proven very wrong as Auto Union and Mercedes-Benz produced some of the fastest and dangerous Grand Prix racers. The designers reserved as much weight as possible for massive supercharged engines and shaved off weight from the chassis and suspension by cross-drilling every component. Needless to say this is a very dangerous combination. To set things straight the AIACR drew up new displacement based regulations for the 1937-1939 period, but they could not agree in time and the changes were postponed and another season was run under the 750 kg regulations. 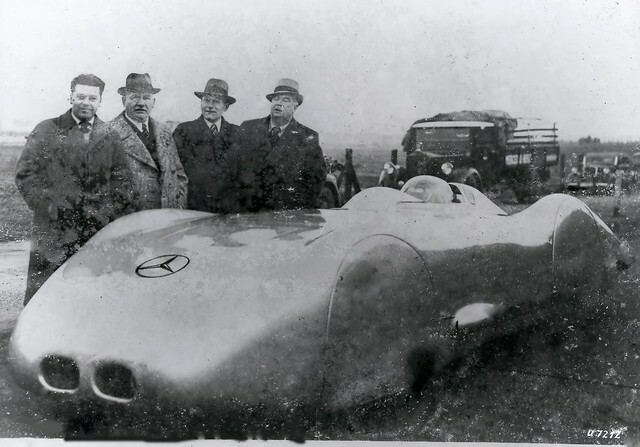 Mercedes-Benz had dominated the first two seasons of the 750 kg era with the straight eight engined W25, but in 1936 found a formidable adversary in Bernd Rosemeyer and his mid-engined Auto Union. Anxious to set things straight, the company's head designer Rudolf Uhlenhaut set about designing the new W125 for 1937 early. At the time he still believed that the displacement limits (4.5 litre for Naturally Aspirated engines and 3.5 litre for forced induction engines) would be enforced from 1937 onwards. When he learned of the delays, Uhlenhaut carried on and turned the W125 in a 750 kg racer instead of the 850 kg racer it was intended to be. Even though the car was prospected to have a 3.5 litre engine, the engineers managed to fit a 5.6 litre straight eight in the chassis, which was longer and heavier than the one used in the W25. Sporting double overhead camshafts, four valves per cylinder and a Roots-Type Supercharger this all steel unit produced a staggering 646 bhp. The engine alone weighed over 220 kg, leaving little over 500 kg for the chassis, suspension, brakes and body. Uhlenhaut realised that the massive amount of power was absolutely useless if it could not be put on the road properly. Traditionally the tubular frames of Grand Prix cars flexed considerably, but by using nickel-chrome molybdenum oval tubes, Uhlenhaut created a very stiff frame. This gave him much greater control over the suspension and effectively the racer's handling characteristics. Like the W25, the W125 used double wishbone / coil spring front suspension, but with much longer wishbones. This allowed for much more travel and softer suspension required because of the stiffer frame. For the rear suspension an old, but rarely tried system was dusted off; the DeDion axle designed in the late 19th century. It replaced the swing axles, which caused massive problems with oversteer and wheelspin as under pressure the rear wheels would not be parallel. To keep the wheels parallel they were connected by an articulated tube fitted behind the final drive unit. Equipped with a ball in the centre that fitted into a slot in the final drive unit, the axle could move up and down freely, but not sideways. Thanks to an oscillating joint in the middle of the axle, the wheels could move up and down separately. The wheels were kept in place by radius arms. The DeDion setup combined the benefits of a live axle with a much lower unsprung weight and the additional freedom of movement of the swing axles. Early in the 1937 season, the engineers experimented with different Supercharger setups. In the original configuration, the Supercharger would blow air into the Carburetor. After a trial run of two races, a system was adopted where the already carbureted air/fuel mixture was passed through the Supercharger and into the cylinders. This affected both the power low down the rev range and to a lesser extent at peak revs. 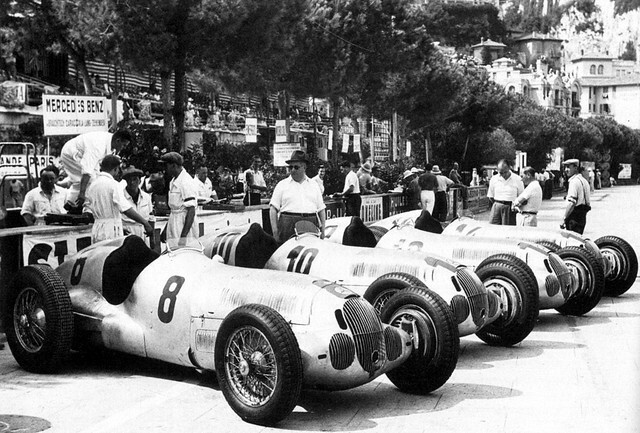 In the hands of Richard Seaman, Manfred von Brauchitsch, Herman Lang and Rudolf Caracciola the W125 dominated the season with six major victories and over a dozen podium finishes. 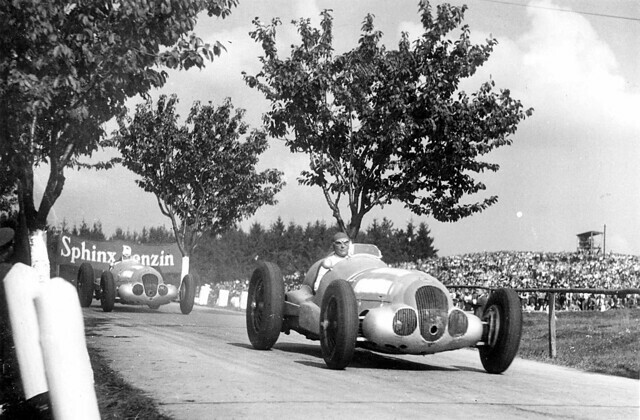 Taking four wins, Rudolf Caracciola recaptured the championship. 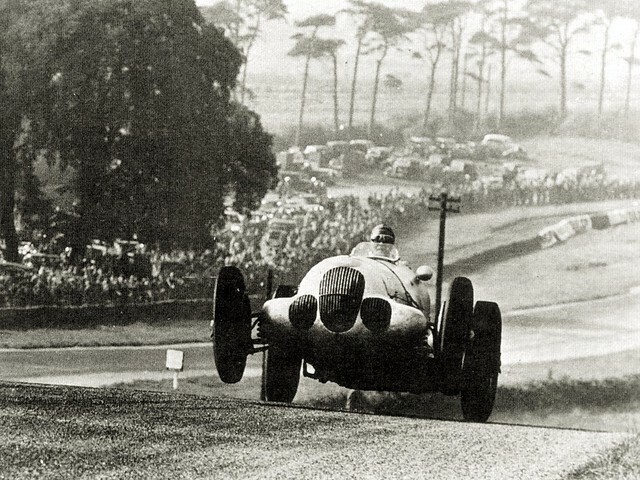 At the end of the highly successful season, the extensively modified regulations left the W125 obsolete. 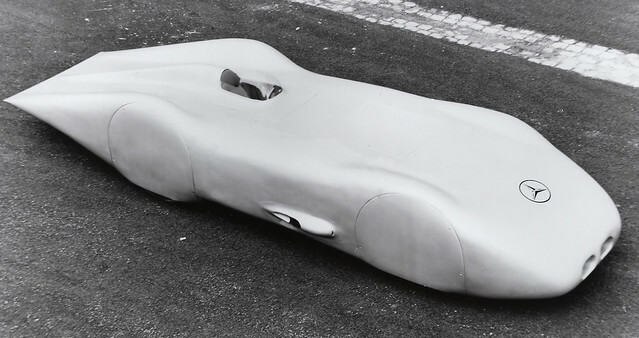 The highly advanced chassis was used for its three litre V12 engined replacement; the W154, which continued the Stuttgart based company's Grand Prix stronghold. It would take until the 1980s before a Grand Prix car was back on the power level of the W125 and this time with a chassis, brakes and tires that could actually cope with all that brute force. But there was a quite different W125 - the Rekordwagen. 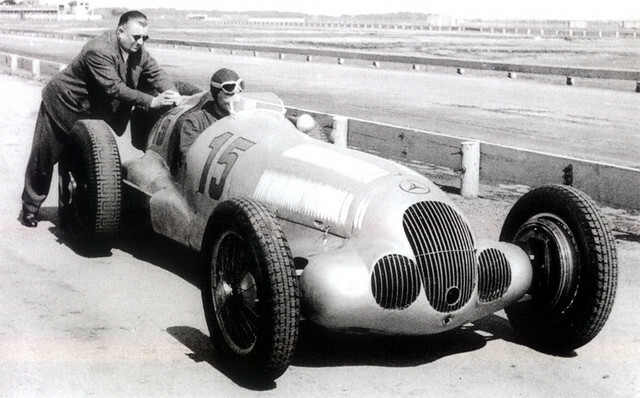 The record car chassis was based on the formula car W 125, and it was powered - as was its predecessor in 1936 - by the 12-cylinder engine MD 25 DAB. 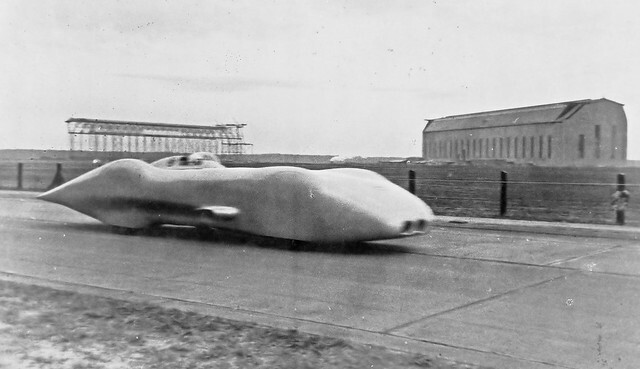 In a direct competition with Auto Union, Caracciola could set a new record on a public road - 432.7 kilometres per hour (268.9 mph) - on 28 February 1938. As a kid my first slot car set had racers like those and I've been in love with that style ever since. No matter how many technical improvements they keep making, THOSE will always be my idea of what a Grand Prix racer should look like! Wonderful cars and wonderful video!